When you are stressed out or distracted, an ambient sound could help you relax and stay focused. However, not just any ordinary noise/sound generator, you need to utilize some of the best nature sound generator software. 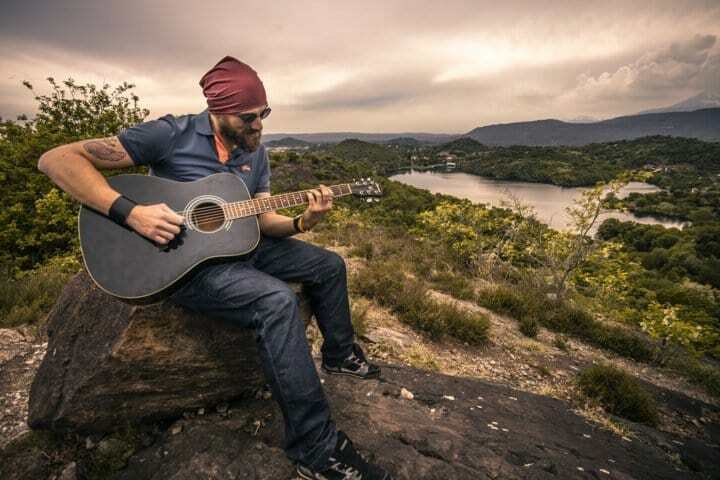 The nature sound – is what we generally miss to experience while in a workplace. But, with the help of sound generator tools, you can get to experience it when needed. You may find a lot of sound generators out there. Although encountering the sound generators with nature sounds in it, could be a difficult task. It is because most of the popular sound generators (back then) are no longer in active development. You will either find them at the software repositories or on a couple of malicious websites. The good news is – you do not need to search for them! 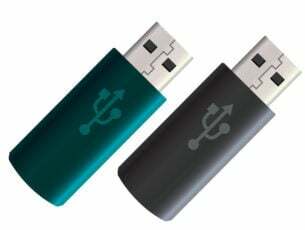 In this article, we have filtered out the best nature sound generator software. 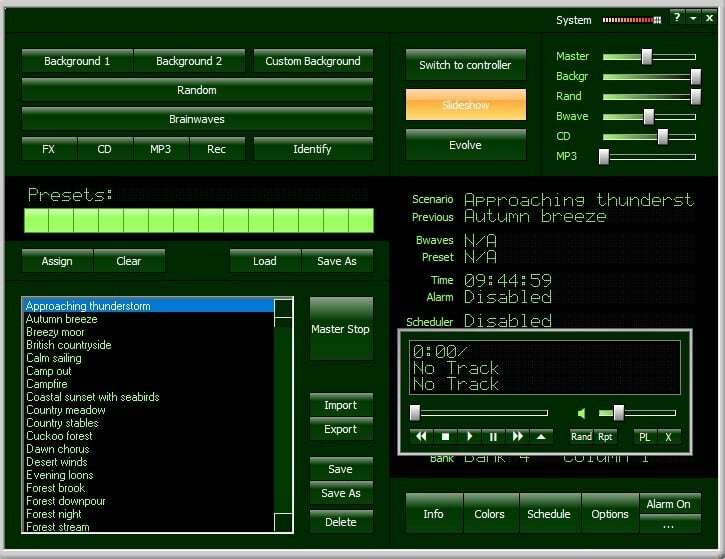 Atmosphere Deluxe is unquestionably one of the best nature sound generator software. It comes packed with a lot of preset nature sounds. Also, being a premium sound generator, it offers high-quality sound files. The UI is decent enough with a bunch of helpful options to make the most out of it. You can create a custom background music with the help of pre-loaded sound files. It lets you pick a schedule, set the alarm to stop, record the music and also change the theme color with a couple of other options. You can download it for free and utilize it for the trial period of 21-days. After the trial period ends, you can choose to purchase the license key for $34.95. 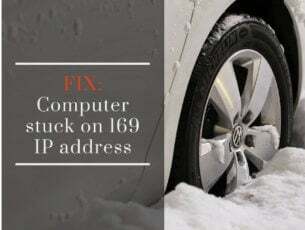 In either case, you can opt for Atmosphere Lite, which is completely free with limited sounds, no scheduling ability and a scaled down user interface. If you need access to a large repository of nature sounds, Ambiance should be a perfect pick as one of the nature sound generator software. You can utilize it for a trial period of 14-days. After the trial period ends, you could think of purchasing it at just $10.59. It lets you set a timer and pick a cycle to change the sound as well. Ambiance features a simple user interface with few options on board. You can either choose to play the sounds already available in your Library (offline) or simply select a sound from the store to download it. 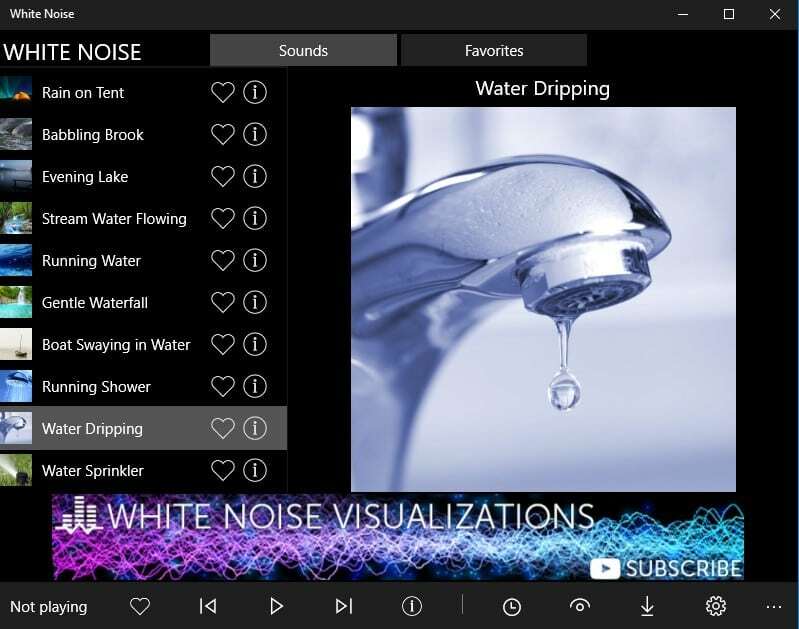 White Noise is one of the best sound generator software available on the Windows Store. Unlike others, it does not offer you the ability to create custom background sound. You will observe a similar approach to Groove Music app regarding its UI (not that good!). Also, you do get the ability to set a timer. 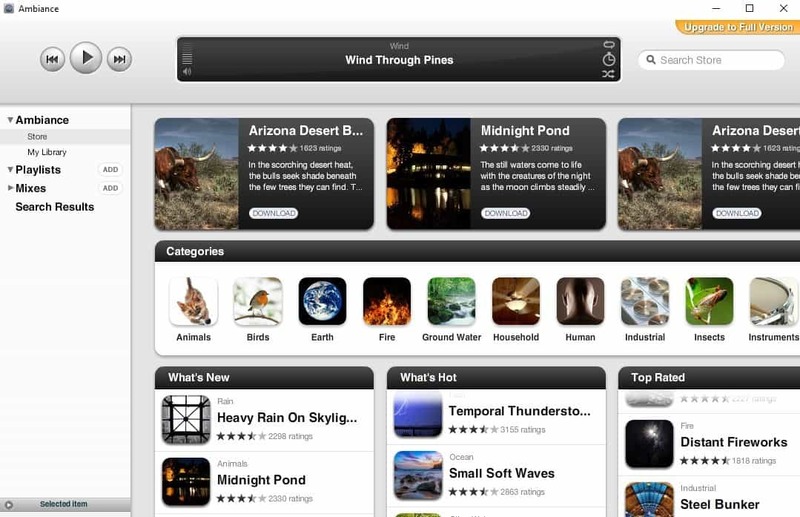 It is a free nature sound generator software with an optional in-app purchase offered. So, if you upgrade it to the pro version for $0.99, you can get rid of the in-app advertisements, unlock stereo audio, and the privilege for unlimited market imports. Noizio.net is a pretty simple nature sound generator software which is completely free. 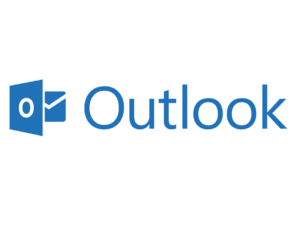 You can find it listed on Sourceforge with the latest update to the software on 2016. When you launch the software, it sits on your tray for quick access. You can click on it again to launch the application window in order to tweak the intensity of the nature sounds and then finally clicking on the play button to get started. You will not get the ability to set the alarm or set a timer for the sound to stop. So, you will have to again click on the icon in the tray to access the application window and halt the playback. Sound Valley is yet another freeware which isn’t in active development but still works as expected. It is one of the best nature sound generator software with limited options. You can set a sleep timer, enable visualizations, and enable shuffling of the sounds. However, you cannot create a custom background music. Listening to the nature sounds would boost your productivity and keep you relaxed. According to a variety of researchers, nature sounds also help you improve concentration. All things considered, you definitely need to utilize the best nature sound generator to get the benefits. If you want the best quality experience along with the access to a lot of nature sounds, then Atmosphere Deluxe and Ambiance would be your best pick. 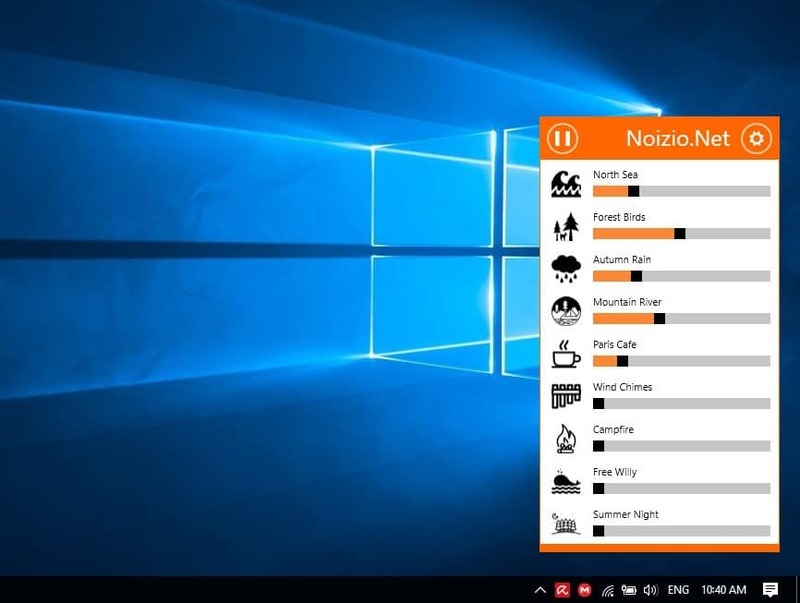 If you do not want to spend a lot for a sound generator software, get the White Noise app from the Windows Store, which just costs $0.99 to upgrade. Fret not, if you do not want to spend a penny to get a nature sound generator software, Noizio.net, and Sound Valley would be the best bet. Do you happen to know of a better nature sound generator software? Let us know in the comments below.